Support and participation from communities is vital for protecting the health of individuals and achieving IRS objectives. Establishing a comprehensive understanding and acceptance of IRS activities among target communities facilitates successful spray rounds. Working with families and communities, the project uses established information education communication and behavior change communication methodologies to ensure proper vacating of premises, adherence to safety precautions, and post-spray maintenance of house walls. Community-based mobilizers integrated with spray teams – To prepare households for the arrival of the spray teams. 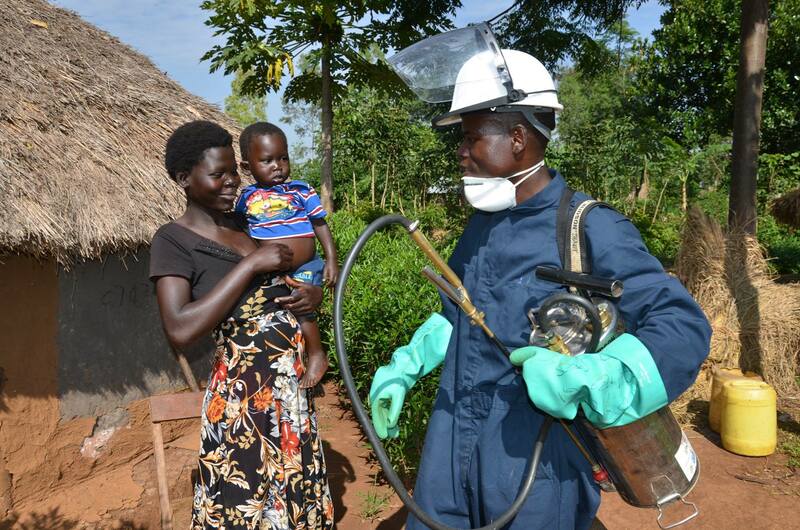 PMI VectorLink assures women are well represented among community mobilizers and spray operators, to facilitate higher community acceptance of the spray teams and expedite access to structures. In collaboration with National Malaria Control Programs, PMI VectorLink crafts custom communication objectives and messages for each country based on the maturity of the country’s IRS program and its geographical scope. In parallel, the project is researching and refining existing communications strategies to increase acceptance and compliance of vector control interventions.